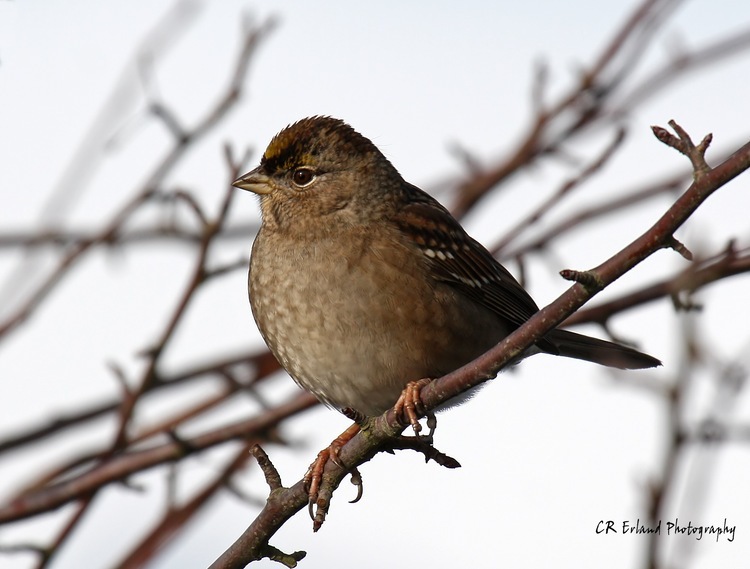 A large number of these small, active birds show up on Vancouver Island during the late fall. We saw this one in a fairly large flock along the beach, foraging for seeds and bugs under the shrubs and blackberry bushes. Golden Crowned Sparrow facts: The breeding habitat is across the northern part of western Canada and the U.S. state of Alaska. In the winter the Golden-crowned Sparrow migrates to Vancouver Island in Canada and the West Coast of the United States. Common bird, but an outstanding photo. Love the exposure, clear and define detail with white background. Very nicely done!